We are pleased to offer another giveaway here on 724Credit – just becuase it’s fun! 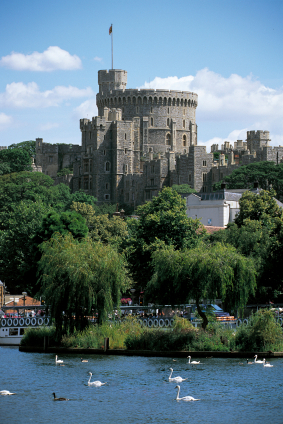 Windsor is a popular tourist town in England that I simply love. I’ve been fortunate to travel there on 3 separate occasions and each time it was more beautiful than the time before. Of course I did all of the things that a typical tourist would do. On my first trip I did a tour of the Windsor Castle and gardens. It was so much to take in all at once. As I was about to leave it was time for the changing of the guard. I was so excited to watch this. As a kid I did a grade school project on the changing of the guard, so seeing it now, in person, was so special to me. Shortly after my second trip to the Windsor Castle the castle unfortunately suffered severe damage from a fire that began in the Queen’s Private Chapel. Repairs and renovations took place over the next few years. You certainly do not need a car to see everything there is to see in Windsor. The streets are lined with interesting shops and delicious pubs, and everything is within walking distance. A lovely river known as the River Thames runs through Windsor and it is the perfect spot to spend a quiet Sunday afternoon, either walking along the river or on a river boat cruise. Overall I found it quite easy to get around in the UK. While I did learn how to drive on the other side of the road, for long distance trips, I much preferred taking the train. In the UK the passenger trains allow you to get to pretty much anywhere you wish to go, including Windsor. One of the best benefits of taking the train everywhere is that you can sit and relax and enjoy the lush green scenery all around you. Where if you drive, chances are very good you will get stuck in traffic, and take 3 times as long to get to where you want to go. And by the time you get there all you want to do is find the nearest pub to wash away your frustrations. And that’s not my idea of a relaxing vacation. And now on to our August giveaway. This time you have 3 chances to win some cash. First prize is $500, second prize is $300, and the third prize is $100. How cool is that? One of the simplest entries you can do to win is to leave a comment below about the most wonderful vacation you have ever taken. Good Luck! 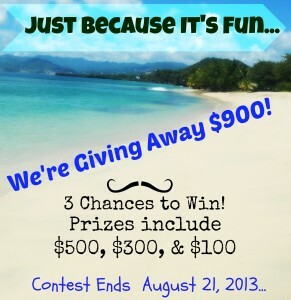 Enter to Win this Amazing Giveaway! 2 Responses to "Favorite Vacation Spot and 3 Chances to Win Giveaway"
Thanks for all your hard work with this giveaway Sicorra! Cat, thanx for including me in your giveaway!